METAV, the leading exhibition for metalworking technologies in Germany’s biggest conurbation, will be taking place for the 21st time from 10 to 13 March 2020 at its traditional location in Düsseldorf. What began here in 1980 has evolved over the last 40 years to become an indispensable part of the technological trends that have affected virtually all aspects of production technology – within a radius of 300 kilometres of the exhibition’s location. So 40 years of METAV have given rise to this sector’s marketplace in the direct vicinity of metalworking manufacturers and users. Celebrate these 40 years with us – by participating in the 21st METAV! 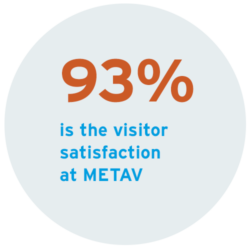 Our METAV visitor service provides all important information around your visit to METAV. 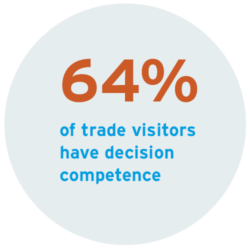 From travel & hotels to getting your tickets and searching for exhibitors, we have all the facts & figures you need at hand for you. 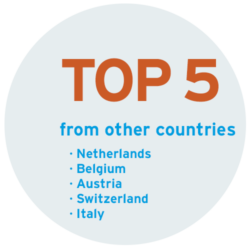 You have questions concerning your METAV participation or our services? Our exhibitor service directs you to the right contacts and provides all important information concerning your registration and the many options of presentation at the METAV.